Today is the perfect day for card making since we're snowed in for the 2nd day. Being from FL, I can tell you that the snow days are wonderful, but being a prisoner in your home...not so much. So, what better way to spend a snow day than coloring these little cuties. 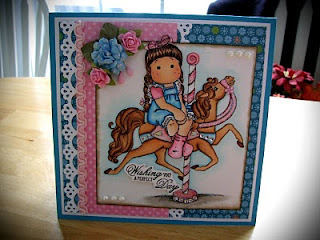 I have no idea what this card is for but I wanted something pretty and cheery since the weather outside is so dreary. Hmmm...really wasn't trying to rhyme there. Anyways, thanks for stopping by and as always your comments are so appreciated. What a pretty card. It just looks like it was fun to make. Great job !! I hope you don't mind. If you do, please let me know. Oh wow this is SO PRETTY!!!!! I LOVE it...gorgeous layout, beautiful coloring, just stunning! Wow, this is another great card. Definately a great birthday card. Totally stunning card. You've colored the images just perfectly! Thanks so much for sharing. This is so pretty! 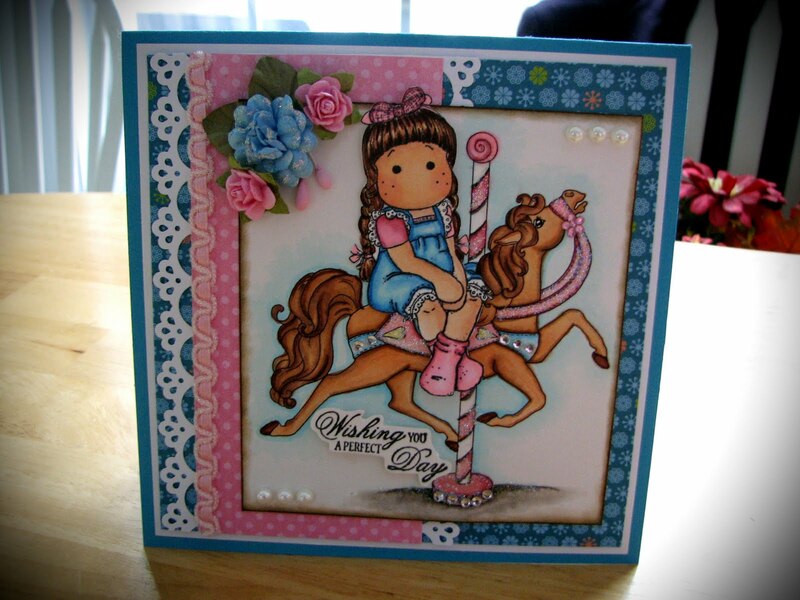 I love your card and the color choices. What a wonderful way to spend the day! Very beautiful card; in every way!! What a lovely card. So well coordinated. Just beautifully colored. The colors on this are gorgeous! I am so tired of saying love all the time but I LOVE this card!!! I love this Tilda. Your coloring is fab. So glad you linked up to the ATS Magnolia Challenge, Winter where you live! Thanks for playing! Gorgeous card! Love the color combo and the image is great! LOL.. you are so cute!!!! LOL...... 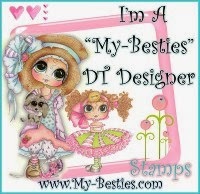 I just read what you wrote on my blog sweetie..
LOVE your card!!!! Beautiful!!!!!! Coloring is wonderful and all of the litte details are perfect..